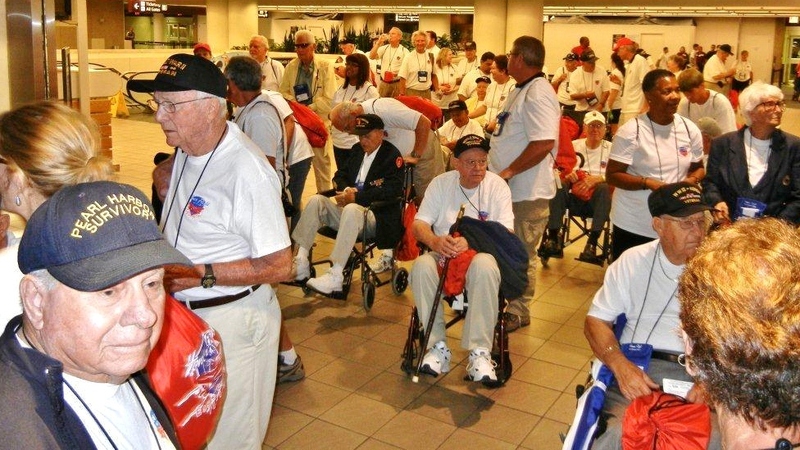 The mission of Honor Flight Central Florida is to Honor WWII and Korean War Veterans who stood in the gap for the freedom of our country when the world was facing very difficult times. It is only fitting that we show our appreciation to those men and women today by sending them to “D.C. for Free” to visit their memorials in the middle of the National Mall. They will visit the WWI Memorial, Korean War Memorial, Vietnam War Memorial and will have the Lincoln Memorial on one end of the National Mall and view the Washington Monument at the other. We make a stop at Arlington Cemetery to the Tomb of the Unknown Soldier to honor those who have fallen that very special ceremony. When you donate online it goes directly to the Honor Flight Central Florida’s PayPal account. Click on the DONATE button on our home page to use a credit card or PayPal Account. Thank you on behalf of our local veterans.